We know you probably love the Olympics or you wouldn’t be reading this! We are guessing you probably like to win cool prizes too…so here’s the scoop: from January 1 to February 28, we want to give you the chance to win. 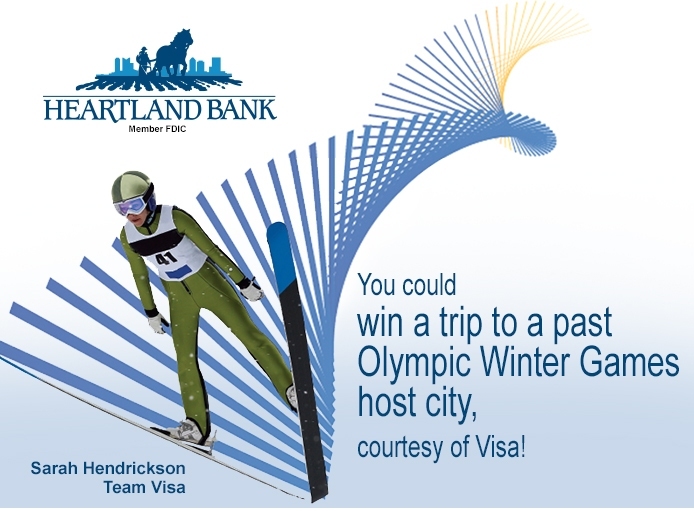 It’s a great reason to use your Heartland Bank Visa° debit or credit card. Join the fun! Olympic Winter Games host city, courtesy of Visa! NO PURCHASE OR OBLIGATION NECESSARY TO ENTER OR WIN THE VISA 2018 OLYMPIC WINTER GAMES SWEEPSTAKES.